To enter mount merry you must be registered and at least insight 41. Head to Mileth, Rucesion or Noam inn and walk around the beds on the first floor until you receive a popup. 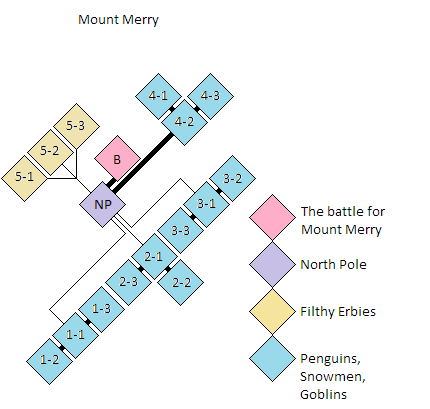 If you choose to sleep and you will be taken to Mount Merry. Depending on your level you will be placed in a different room. Follow the map to reach the North Pole. There are a handful of quests you can do here for christmas themed rewards. All creatures are non hostile except for the Filthy Erbies.